Abraham "Bram" Stoker (8 November 1847 – 20 April 1912) was an Irish novelist and short story writer, best known today for his 1897 Gothic novel Dracula. During his lifetime, he was better known as personal assistant of actor Henry Irving and business manager of the Lyceum Theatre in London, which Irving owned. 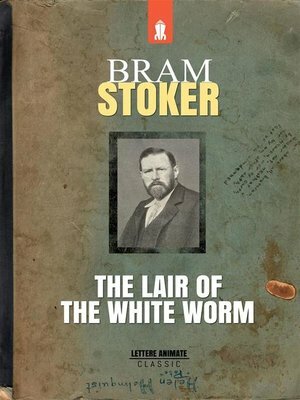 In a tale of ancient evil, Bram Stoker creates a world of lurking horrors and bizarre denizens: a demented mesmerist, hellbent on mentally crushing the girl he loves; a gigantic kite raised to rid the land of an unnatural infestation of birds, and which receives strange commands along its string; and all the while, the great white worm slithers below, seeking its next victim... Bram Stoker, creator of Dracula, is one of the most enduring and masterful influences on the literature of terror.